Centro Storico is one of my favorite places to eat and drink in Piedmont. I am not alone. Over the last few years, Centro Storico has become a huge hit with locals and tourists alike. Proprietor Alessio Cighetti’s enthusiasm is infectious and embodies the true meaning of hospitality. Centro Storico offers a straightforward menu of the classics, with three or four choices for each course, all written on the chalkboards that adorn the room. The food is simple, delicious and deeply satisfying. What could be better? Only Centro Storico’s winelist, which is staggering in its breadth for a small, intimate winebar/restaurant. The selection of Piedmont wines is vast, but it is the Champagne selection that keeps many regulars, including me, coming back. Centro Storico’s Insalata Russa, an old Piedmont classic, is delicious. How can carrots, peas and boiled potatoes, all dressed lightly in mayonnaise, be this delicious? 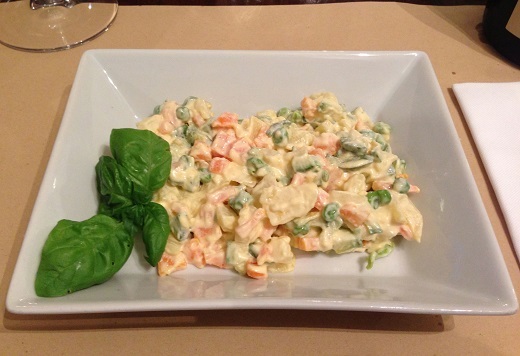 Now almost gone from local menus, Insalata Russa is a reminder that not too long ago Piedmont was a poor, rural region. 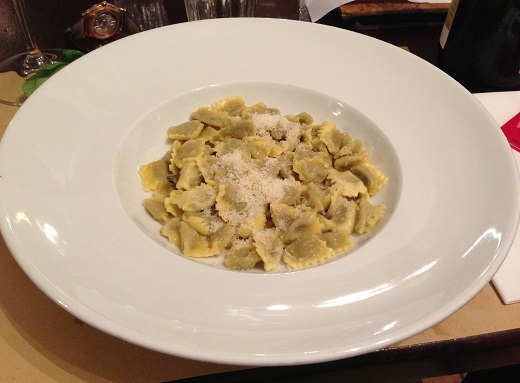 The Agnolotti al Plin are also fabulous. Again, nothing fancy, just simple, homemade comfort food at its most satisfying. Gelato is not usually on the menu, so you have to ask if it is available. If it is, don’t miss it. The Piedmontese hazelnut, the tonda gentile, is another of the region’s many local specialties. 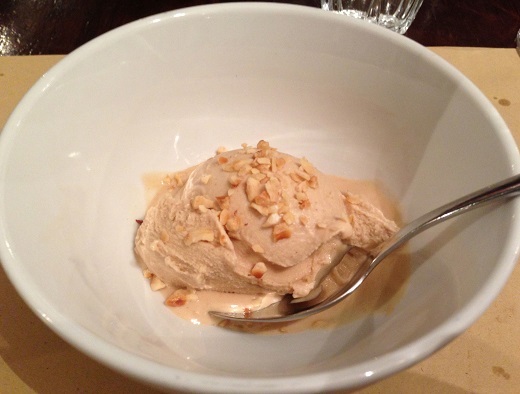 The deep, resonant flavors literally seem to jump right out of the bowl in Centro Storico’s heavenly hazelnut gelato. I regret ordering just one scoop and make a mental note to avoid making the same mistake again. I rarely drink after a long day of tastings, but if I am going to have wine it is almost always Champagne. Centro Storico has a great selection. From growers to grands marques, diners will find a vast selection of the very best of both. Italy is a huge Champagne market, often among the top five for most houses. Italians like to drink Champagne with a meal, not just as an aperitif, which is a great way to live, in my book. 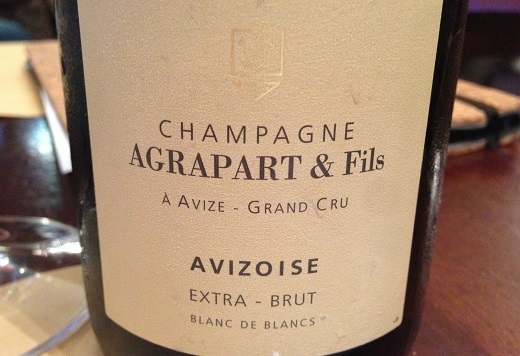 Agrapart’s 2005 Extra Brut Blanc de Blancs Avizoise, from a vintage that is proving to be highly inconsistent, dazzles from start to finish. Even more mineral and tightly wound than I recall, the 2005 captures the essence of Avize Chardonnay and the Agrapart house style. On this night, it is flat-out superb. What a wine! Readers visiting Piedmont owe themselves a meal (or two) at Centro Storico. The convivial, informal atmosphere is inviting and a nice break from some of the more formal dining rooms in Piedmont. There are few better places to enjoy the many bounties of Piedmont than Centro Storico.